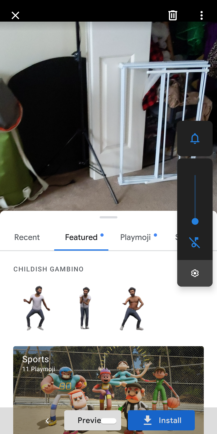 In the blog post making the announcement, Google claims to have worked closely with both the artist and his music video choreographer to ensure an accurate representation of the types of dances and movements performed by the real thing. Mixed with ARCore's tech, the results have an uncanny valley almost lifelike quality, even though the graphics aren't themselves the most realistic. Like other AR characters in Playground including the Marvel superheroes, your digital Childish Gambino can respond to facial expressions for fun selfies, etc. You get the idea. You can install the new Playmoji via the Play Store at this listing. 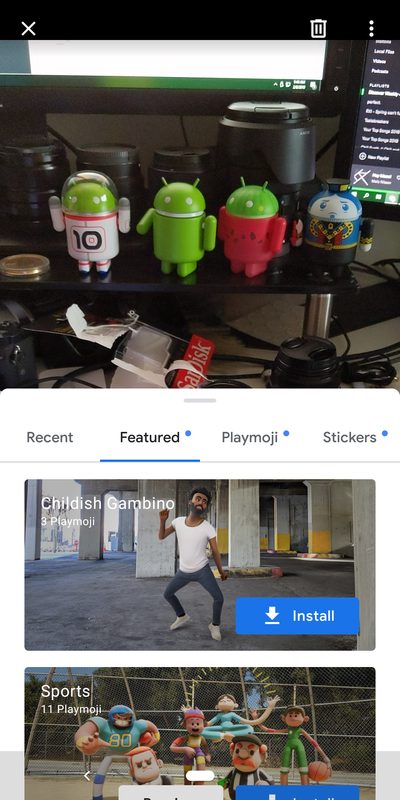 Once installed, getting to Playground and enabling it is a snap: Just launch your Pixel's camera, scroll to More, tap Playground, tap the disturbing face on a Post-it icon, and it should be at the top of your featured list or in the installed tab — assuming you installed it. Once in Playground, a simple tap is all you need to invoke from among the three potential dances, which include moves from "Redbone," "Summertime Magic," and "This is America." 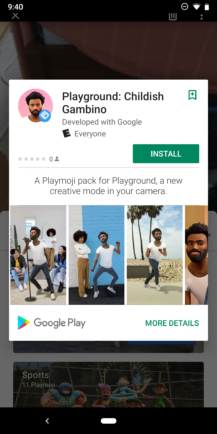 The section of Made by Google 2018's Playground announcements referencing Childish Gambino has been cut, but the original is still viewable here thanks to UploadVR. 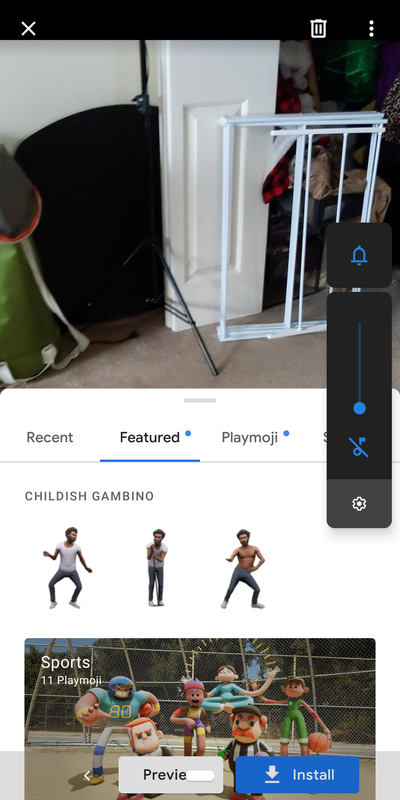 It's pretty weird that Google would cut the references to Childish Gambino from its video of the Made by Google 2018 event — one has to wonder what other information they decided to alter with time — but five months later, the feature is here for those that remember.